Manibridge is located in Manitoba’s Thompson Nickel Belt, which is considered to be the fifth largest and third highest grade sulphide nickel belt in the world. 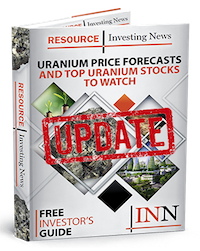 Diversified junior explorer CanAlaska Uranium(TSXV:CVV,OTCQB:CVVUF,FWB:DH7N) has announced the purchase of the past-producing Manibridge nickel mine from Pure Nickle (TSXV:NIC). Pursuant to the terms of the agreement, CanAlaska will issue Pure Nickel 300,000 shares and 100,000 2 year warrants exercisable at C$0.28/share, and pay C$25,000 to obtain 100 percent ownership of the Manibridge Mine claims totalling 270 hectares (Figure 1). The claims, termed Ore 5 and Ore 6, are subject to retained interests held by Glencore Canada Corporation (“Glencore”) as part of a 2007 purchase agreement entered into between Glencore and Pure Nickel. The retained interest involves a Back-in Right for Glencore to purchase back 50 percent interest in the claims upon discovery of a NI 43-101 Mineral Resource of 15 million tonnes or greater, a 2 percent NSR, and off-take and marketing rights for all concentrate or product produced. The shares and warrants, when issued, will be subject to a hold period expiring four months plus a day after the date of their issuances in compliance with Canadian securities laws. The completion of this purchase is subject to TSX Venture Exchange acceptance. The Manibridge nickel deposit was discovered in 1963 by Falconbridge (since purchased by Glencore) following up on coincident magnetic and electromagnetic anomalies that were thought to be caused by an ultramafic body. The second hole of the program intersected the fringes of what would become the Manibridge Mine. Sulphide nickel mineralization is hosted within an elongate, folded ultramafic body that extends for at least 3.2 kilometres with nickel-bearing sulphide mineralization throughout (Figure 1). The Manibridge nickel deposit is located within the core of a major fold axis with up to ten sulphide lenses that conform to the fold pattern and plunge to depths in excess of 380 metres.